A new exhibition, which welcomes school visits, is opening on 1st April at Sea Life Brighton, and could be a good idea for pupils studying Science. This installation welcomes a host of new shell-dwelling creatures for schools to see and gain a better understanding of. This exhibition can also tie in with the Science curriculum and aid pupils studying habitats and adaptation. 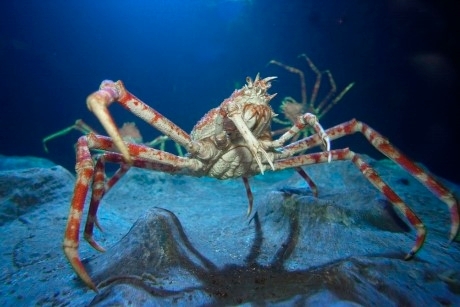 One of the highlights of the exhibition will be two Japanese spider crabs - the larger of the two crabs has a leg span of 1.3 metres and can grow to the size of a car. Schools will also get to see the peacock mantis shrimp, said to be one of the most brightly coloured animals in the world. Groups can learn that despite its exterior, it is a feared predator under the sea. Pupils visiting Claws will also get to enjoy the Tidal Tank, which will showcase the sea creatures often found around the UK’s shores, such as velvet crabs, starfish and green urchins. The interactive installation aims to shine a light on the crustacean group which is one of the ocean’s oldest varieties with around 70,000 species in existence. There is plenty for schools to do on a visit to Sea Life Brighton. Schools can arrange various educational packages which included guided tours and workshops, suitable for Primary and Secondary pupils. Sea Life Brighton also offers free lesson plans, discounted rates, and access to free talks and feeds that take place during their visit. The aquarium is home to more than 3,500 creatures including sharks, turtles, seahorses, rays, and an anaconda. Highlights for schools include feeding demonstrations which take place throughout the day, an interactive rock pool and the 360 degree Ocean Tunnel, which allows visitors to get a closer look at the sea creatures as the swim above. Sea Life Brighton also offers visitors the chance to experience the marine world from a glass bottomed boat. For more information, visit www.visitsealife.com/brighton.